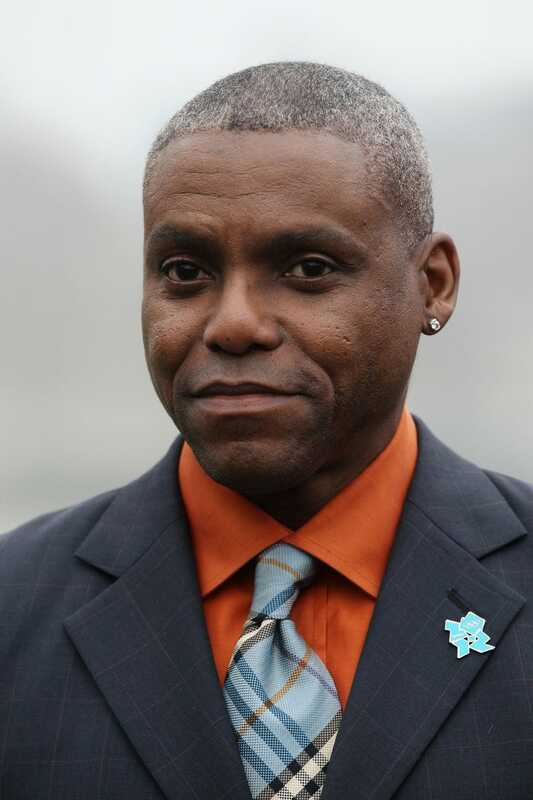 Republicans have challenged former Olympic star Carl Lewis' candidacy for the New Jersey Senate, saying the nine-time Olympic medalist hasn't lived in New Jersey for the four years required to run. The GOP filed a complaint with New Jersey Secretary of State Kim Guadagno, asking that Lewis' name be pulled from the primary ballot. An administrative law judge will hear the case Tuesday and make recommendations to the secretary of state, the Washington Post reports. The complaint says that Lewis has lived and voted in California until recently. Lewis says that he owns two homes in New Jersey, including one in Medford that was purchased in 2005. "Doesn't matter," GOP attorney Mark Sheridan said of Lewis’ New Jersey addresses. "He's been voting in California. And under California law, that makes him a resident of California. He can't be a resident of New Jersey at the same time." The campaign for the June 7 Democratic primary would have been the 49-year-old track legend's first time vying for a political seat. Lewis won four gold medals at the 1984 Los Angeles Olympics, two golds for the long jump and 100-meter 1988 in Seoul, two more at the 1992 Barcelona Olympics and one for the long jump at the 1996 Olympics in Atlanta. This challenge could be a wake-up call for Lewis: Political races often involve more hurdles than the ones that take place on the track. In other news: Football Star Joe Perry Dies at 84.